RAM disk is a portion of RAM memory that has been configured to work as a virtual drive. In case you do not know what a virtual drive is, it is the space in your storage device (e.g. hard drive, usb flash drive, RAM memory, etc) set up to simulate the functionality of a real hard disk drive. But how can an SSD benefit from RAM disk? You may be aware that the major drawback in solid state drives is their limited write cycles and low write speed. 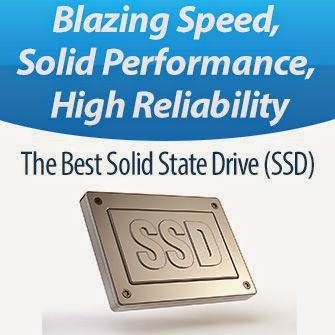 While this was a real bothersome issue a few years ago, it has been much relieved since the past 2 years, when new improved SSD architectures came out to surface. Nowadays a 256 GiB mainstream-class SSDs can bear over than 85 TB of written data before they start to degrade, and that is almost 78 GiB per day continuously for 3 years. Whereas a premium-class SSD can bear over than 255TB (Samsung 840 Pro SSD 512 GiB claims to bear almost 500 TiB of written data). In general, if your SSD is produced before the middle of 2011 then having a RAM disk will bring huge benefit to your SSD and increase its lifespan. This procedure suggests that since the constant writing and erasing of temporary folders (like file caches) on your SSD will decrease its lifespan, so moving these folders outside the SSD and storing them somewhere else will help maintaining the longevity of the drive. And because nothing is faster than an SSD but a RAM memory, and storing these temporary folders on a slower storage device (like an HDD) will slow down the quick launch of applications installed on the SSD, then the best place for this purpose is RAM disk. As for the increment of performance using RAM disk, the quick transfer rates in RAM disk result in much faster application opens. (See the results in the chart table below after using RAM disk in conjunction with SSD). Due to the issue most of applications cause by leaving by default some of their files in various folders on the C drive (ex: C:\Program Files\Common Files), these applications will not fully load from memory, even if you install them on the RAM Disk. The reason behind this is that part of the software would remain on the primary storage drive, and having the RAM disk in combination with an SSD can be the best option in this regard. If you are able to move the whole “C:\Program Files\Common Files” folder and “C:\Users” folder over to the RAM Disk, or you use applications that do not create temporary files/folders (like the portable software) you will enjoy the maximum load speed of these applications as everything then will be loaded from RAM. But the problem that arises here is that the “Users” and “Common Files” are so huge for a small RAM capacity to bear them. You’de need more than 4GB of space on RAM disk to handle them properly. That just means your total RAM capacity must be at least 8GB. The chart table below shows the improvement of application load speed when pairing a RAM disk with an SSD. If your SSD is slow and you are looking for a workaround for this issue, you may be interested in reading our guide on how to fix slow SSD.